There are a lot of decisions to make when it comes to renovation and remodeling. This usually involves a lot of wandering around stores and showrooms to browse all the different options you have, which can be tiresome and time-consuming. Wouldn’t it be better if you could just drive up to a store knowing exactly what you want and buy it there and then? With the amount of information readily available online, you can now do a lot of your redesign research without leaving the comfort of your own home. You can read pros and cons and customer reviews to help you decide on designs, materials, and colors. For deciding on the design for your countertops, you can also use a countertop design tool to help you imagine what different countertops will look like in your home. 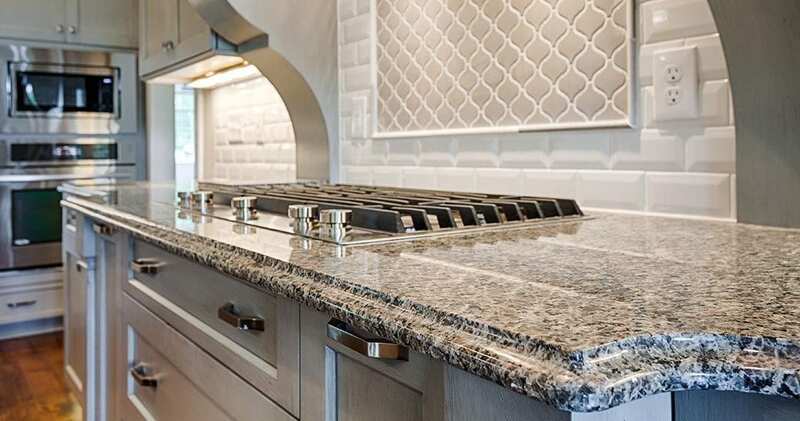 Using these tools, you can select different combinations of materials, patterns, colors, and edge profiles to get a vision of how they will look together for your countertops. Seeing the countertops makes it much easier to make a decision than having to imagine what they’ll look like in your head. It’s the next best thing after seeing it in real life, letting you do a lot of the decision-making before you actually go out to any stores. Our kitchen and bathroom visualizer tools also help you to imagine what your countertops will look like in the room as a whole, allowing you to see how a certain material or edge profile will complement the design of the rest of the room. This is also useful if you are remodelling the entire room and have other decisions to make, such as what material you want for your floor. Using these tools, you can select your flooring material, the colors of your cabinets, and the style of your backsplash in the kitchen. Doing so can help you envision the whole kitchen and bathroom to help you make the right design decisions. Our site also features a Project Estimate Tool so you can make sure all your choices still fit within your budget. So, get online today in the comfort of your own home or come into our showroom, and work with one of our account managers who can assist you on our in-house kiosks. Amanzi Granite serves customers in Winston Salem, Greensboro, High Point, and Kernersville, North Carolina. Get in touch if you have any questions.